Alan Greenberg is an accomplished trial and appellate attorney who handles high-stakes and complex cases. He has been trying cases for more than 25 years after starting his career as a Wall Street transactional lawyer. Mr. Greenberg has been named as one of the Top 100 lawyers in California by the Daily Journal. Two of his trial verdicts have been listed as among the Top Verdicts of the Year in California. In a Top Verdict of 2018, Mr. Greenberg and his team obtained a complete defense verdict in a jury trial on behalf of an AmLaw 200 law firm. The plaintiffs in that case sought approximately $500 million for violation of civil RICO, fraud, and other torts. In a previous Top Verdict, Mr. Greenberg and his team obtained a jury verdict of more than $50 million, including $34 million in punitive damages, in a case involving real estate development ventures in Hollywood, California. Mr. Greenberg has been named as an Elite Boutique Trailblazer by the National Law Journal. He is a Fellow of the Litigation Counsel of America, a highly selective trial lawyer honorary society composed of less than one-half of one percent of American lawyers. He has repeatedly been named to lists of The Best Lawyers in America and Super Lawyers. He has maintained a Martindale Hubbell peer review rating of AV Preeminent, 5.0 out of 5.0, for 20 years. 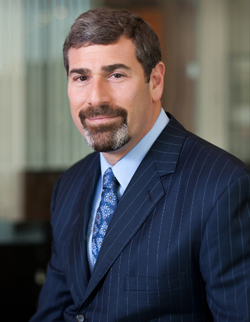 Mr. Greenberg has served as Managing Partner of Greenberg Gross LLP since the inception of the firm. Obtained jury verdict for defendant AmLaw 200 law firm in case seeking $500 million in damages for violation of civil RICO, fraud, and other torts. Obtained $50.3 million jury verdict on counterclaim, including $34 million in punitive damages, arising out of repudiation by client’s partner of joint venture to own and redevelop the Hollywood Palladium and three other prominent properties in Hollywood, California. Prevailed in U.S. Court of Appeals for the First Circuit in defamation case (McKee v. Cosby, 874 F.3d 54). Obtained jury verdict for defendants, and $8 million judgment on counterclaim, including $2 million in punitive damages, on behalf of global engineering firm. Obtained jury verdict for punitive damages of more than $1 million in corporate sabotage case against client’s competitor. Obtained judgment in excess of $1.5 million in trial relating to financing of accounts receivable. Obtained defense verdict in jury trial for digital marketing company that was sued for alleged fraud and breach of contract.